Seabrook Mayor Glenn Royal, right, former Mayor Bob Robinson, left, and Perry Christy wish Michele Glaser a happy bon voyage into retirement at the party in her honor. Christy’s ancestors had the original Ritson- Morris Spanish land grant when they settled in what is now Seabrook many decades ago. Michele Glaser, who began working for the City of Seabrook in April 1983, retired Thursday, July 2 after 32 years of public service, and she’s already enjoying her retirement. 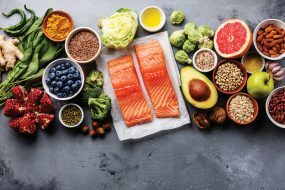 After a week or two of rest, she is up and at ‘em each day, going to exercise classes, playing cards, and enjoying other senior activities at the senior center in the Bay Area Community Center in Clear Lake Park. And, yes, she misses her work, but she’ll get over it. 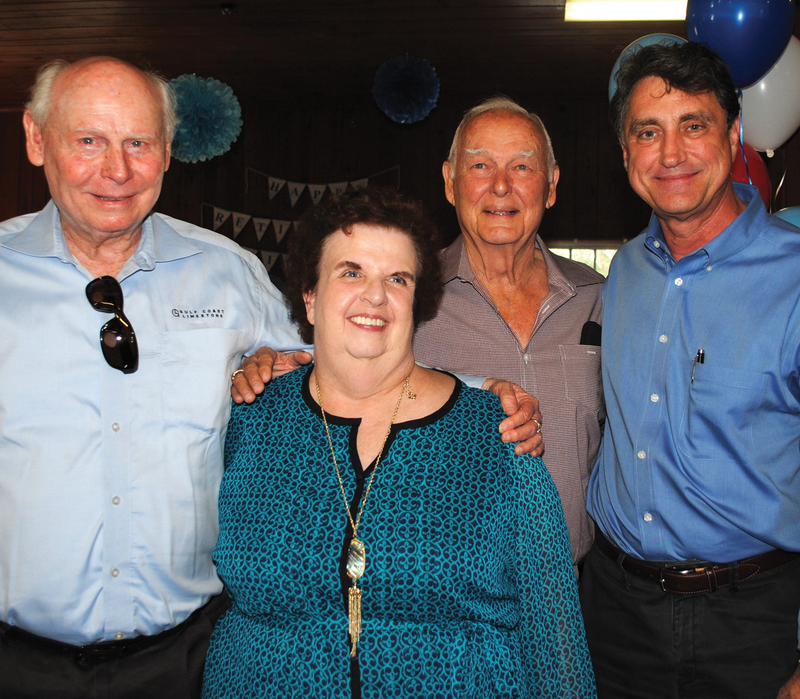 Seabrook hosted a retirement party for Glaser at the Seabrook Community House where dozens for former city council members, mayors, city staff and the public stopped by to wish her well and show appreciation to Glaser, who has had such a positive impact on the Seabrook community. 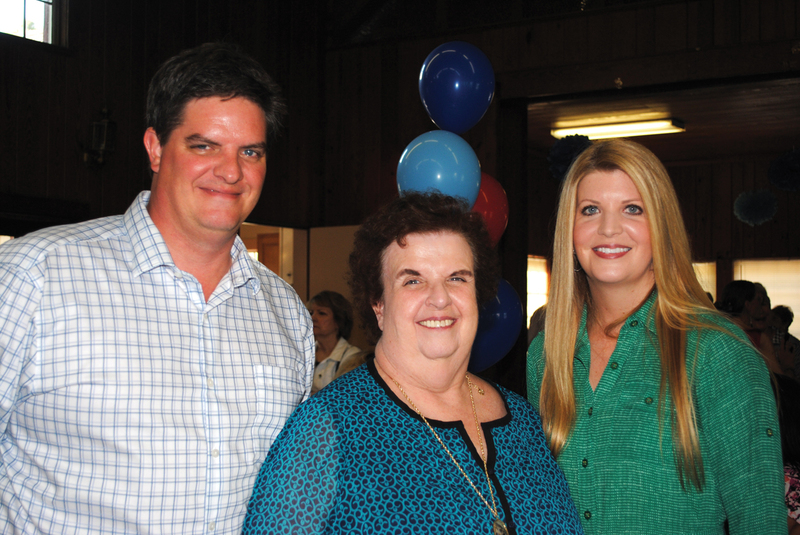 Spn Eric and daughter Ingrid join their mother, Seabrook City Secretary Michele Glaser, at her retirement party in the Seabrook Community House. Joining Mayor Glenn Royal in honoring her with a proclamation, key to the city and other memorabilia, were City Manager Gayle Cook and Webster City Secretary Pauline Small as former Mayors Jack Fryday and Bob Robinson and a number of current and former city council members looked on. Former Nassau Bay City Secretary Pat Jones also was in the crowd. She is a native of Youngstown, Ohio and is a graduate of the University of Minnesota. She moved to Texas in 1982 and became a resident of Seabrook in 1983. Seabrook has been her home ever since. In 2000, she became a Texas Registered Municipal Clerk and has since completed her third recertification. 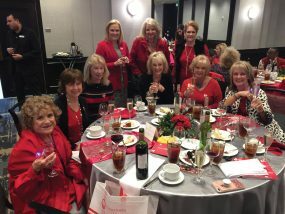 She served as the president of the Salt Grass Chapter of Municipal Clerks in 2006 and 2007. During her tenure as city secretary, Glaser has had the privilege of serving 6 mayors and 34 council members, city officials said. Many council members who have worked with City Secretary Michele Glaser over the past 36 years stopped by her retirement party to wish her well. 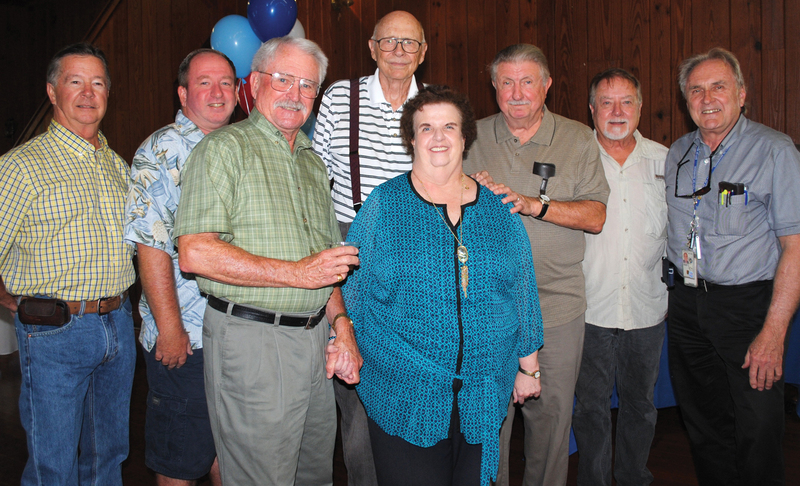 Among those pictured with her are, from left, Skip Boteler, Don Holbrook, Herman Burton, Jerry Larson, Pete Braccio, Buddy Hammond and Tom Diegelman.